Transport yourself back to 1985 and the release of Back to the Future. 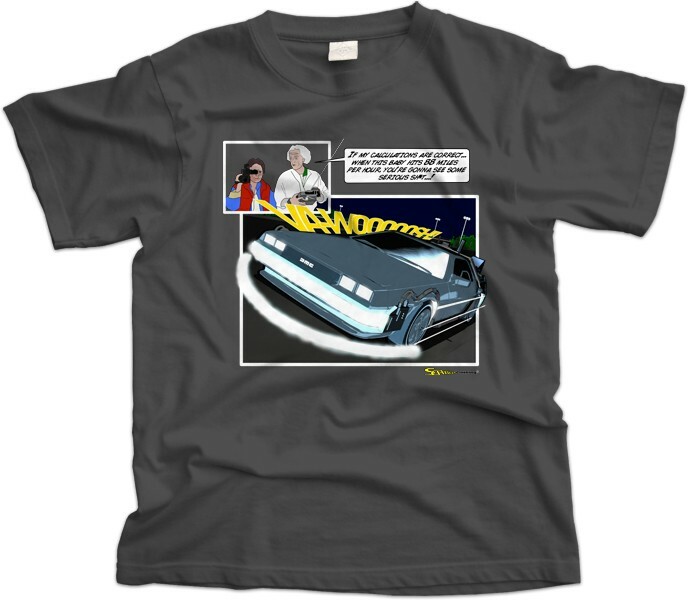 The DeLorean DMC-12 time machine has become one of the most sought after and iconic images in American film history and pop culture as a whole. It's been everywhere. It's been a ride at Universal Studios. It's been quoted in President Ronald Reagan's 1986 State of the Union Address - "Where we're going, we don't need roads." 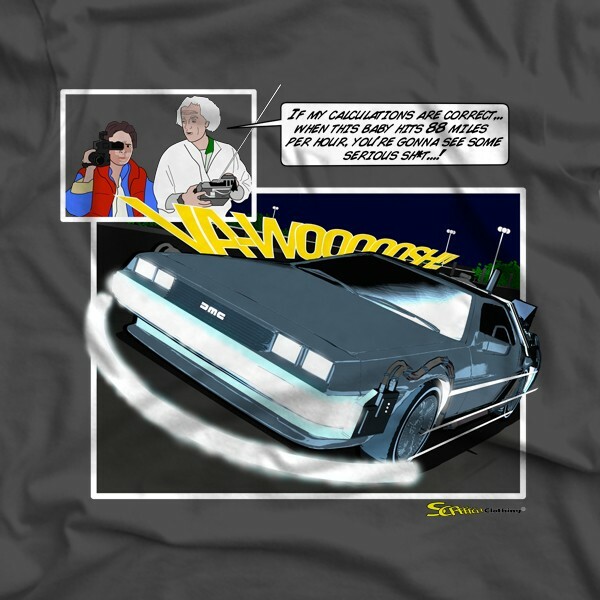 Now, Marty McFly can be glammed out on your chest - in solid style!! !